What’s the Best Car Service Package for You? At Western Auto, we strive to make things easier for our customers. Save time and money by opting for a complete car maintenance package, all in one place. Now, there’s no need to drive across Melbourne to have various services completed on your car. Western Auto does it all at the most affordable prices. If you’re looking for car servicing, Melbourne customers only want the best and Western Auto has expert technicians that deliver quality service every time. We offer the car maintenance package to suit your needs and we guarantee to only use quality parts for efficient, reliable servicing. We offer only the best for you and your car and we make it our promise that you’ll drive away feeling safe and satisfied. Opt for regular cheap car service in Melbourne and maximise the lifespan of your vehicle! 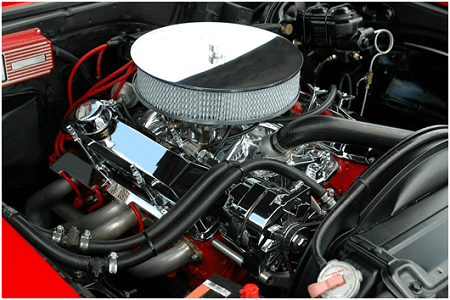 Our expert mechanics are fully-trained to service cars of any make and model, using only the latest techniques and diagnostic equipment. Choose from our range of car service packages below, because every vehicle is different. On average, our prices are up to 70% cheaper than other dealers for a full car servicing. That said, we never compromise on quality and we ensure our packages are comprehensive, offering your vehicle everything it needs to maintain its value and reliability. *Price is subject to change with particular cars, late model cars, European cars, commercial vehicles, SUV, 4×4 and logbook service. An extra cost will incur if the inlet manifold has to be removed for spark plug replacement. Terms and conditions apply. Contact us for more details. For an affordable car maintenance package in Melbourne, Western Auto is the only service station you need to head to. Our expert mechanics are fully-trained in all aspects of car servicing and always provide a friendly, honest and straightforward service. For more information about the best car service package for you, fill out our online form or call us on 03 9314 6522.